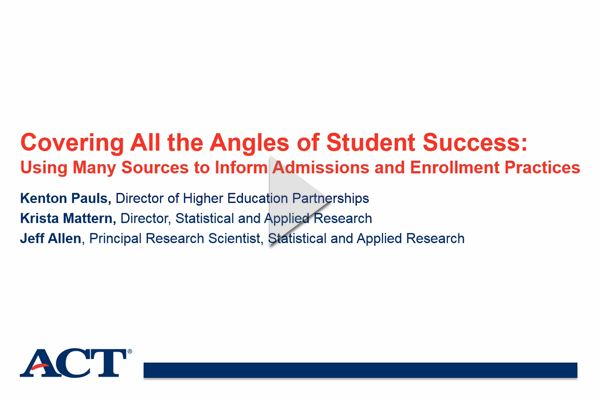 Using several sources of information in admissions and enrollment decisions can greatly improve understanding of students’ strengths, weaknesses, and readiness for college. 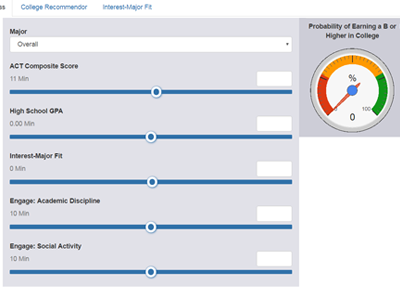 In this webinar, ACT will showcase how combining multiple sources of information—cognitive measures such as high school GPA and ACT® test scores along with noncognitive measures such as ACT Engage® scores, high school course rigor, and student interests—can better explain and predict short- and long-term academic outcomes. 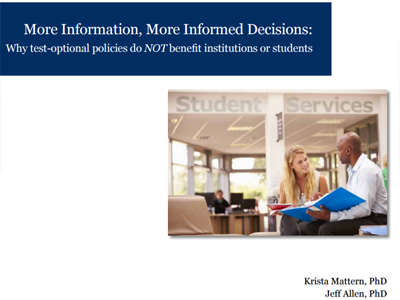 By integrating these various sources of information, ACT is able to provide more personalized, nuanced feedback and insights to students as well as enrollment and admission professionals. We will cover findings from various research studies and present two prototype user tools that demonstrate these insights. 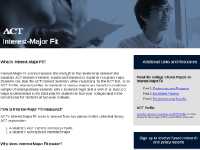 Throughout the presentation, we will showcase the validity and fairness of the results for various student subgroups. 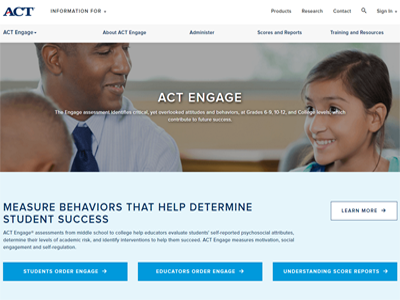 Join us on June 8 for an engaging discussion on important social and emotional learning (SEL, or noncognitive) research, policy, and emerging practice that can have very positive effects on K-12 educators and students. ©2017 ACT, Inc. All rights reserved.